Description: Awesome curl edges PowerPoint template with four colorful note papers and gray background. It's very bright and fresh that can attract audience attention by the first sight. 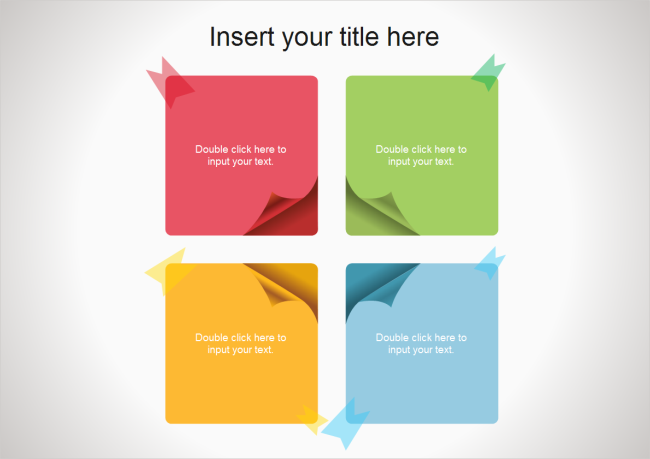 Download for free and use it to create wonderful presentations.